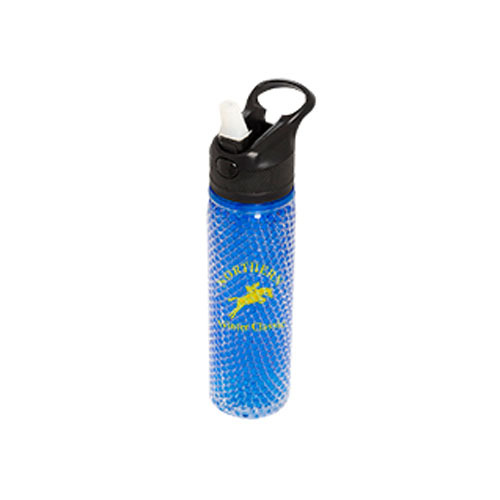 Freezable 18.5 oz. 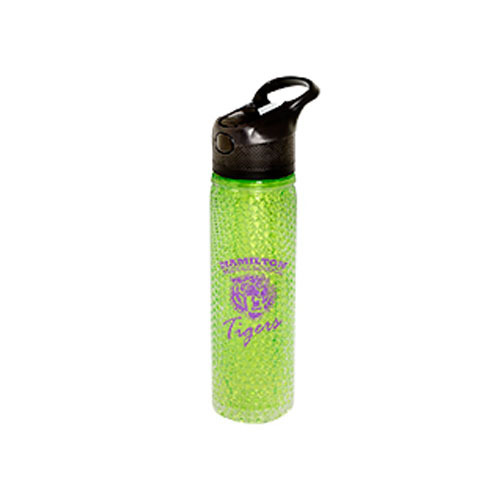 (550 mL) double wall Tritan plastic water bottle. Gel beads between the walls to help keep drinks cooler longer. Features lid with straw featuring soft silicone suction/straw mouth. Push button on lid to release straw for drinking. 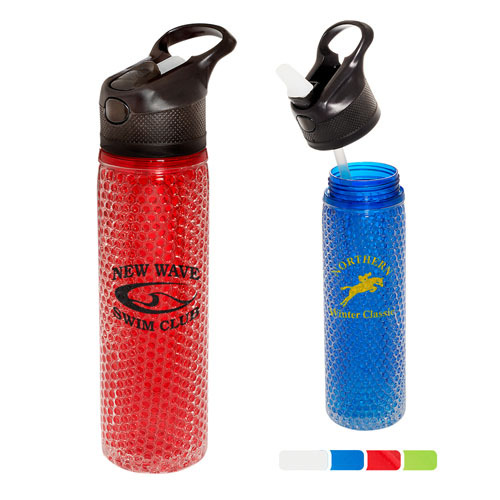 Note: Gel beads make this heavier than most water bottles. Polybag / 28 lbs / 24 pcs. / 12x24x17box. 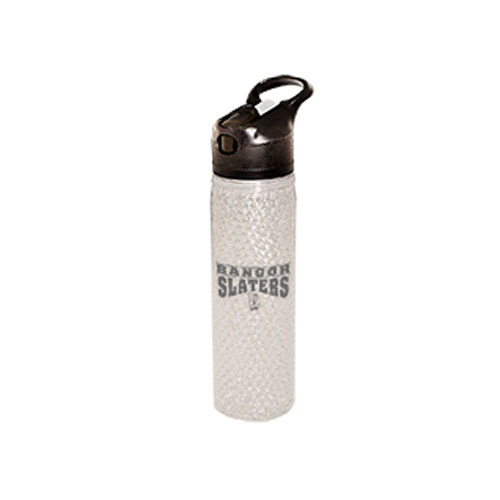 Skye Water Bottle - 26 oz.